This image available for royalty-free use for $45.00. 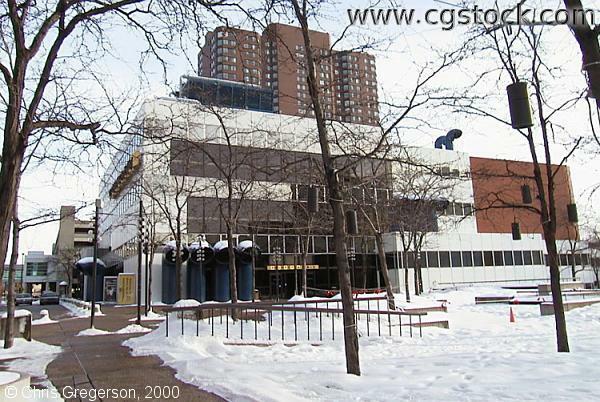 You are on the southeast corner of Nicollet Mall and 12th street, looking east at Orchestra Hall. Peavy Plaza is to the right(out of frame), WCCO would be behind you on the left.